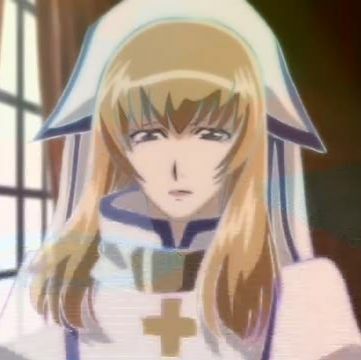 Sister Kate is also one of the weirder members of the AX members. 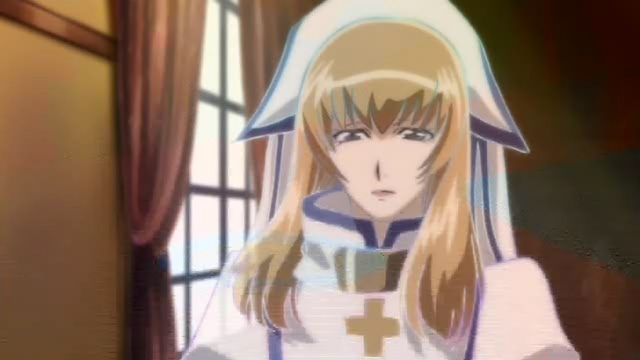 As you will notice, she seems to float and her body appears transparent like a ghost... which is because she communicates exclusivly through a hologram mode. See, logical explaination for everything! She and William Walter Worthword are both from the kingdom of Albion so they're both very well mannered and very kind... well, not all the time, of course. Sister Kate is the captain of the battleship Iron maiden. Seriously that ship is HUGE!